No summer festival on Okinawa is complete without Eisa and Unna Matsuri is no exception. Unna Festival has its 33rd incarnation this year featuring two full days of experience based programs, markets, the largest beef soup on the island, live fish catching contests to kids topped with live music performances and fireworks shows on both evenings. 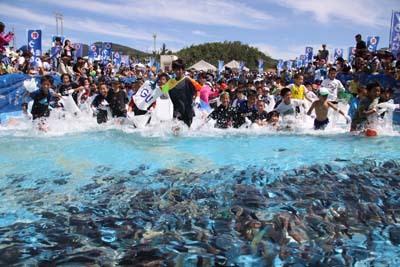 The Festival is held at the Onna Village Fishing Port grounds on Jul. 23 and 24. Nothing excites young festival goers like a bare-hand fish catching contest. Much of the entertainment is aimed at children, although adults certainly have their share of fun, too. Both days have glass bottom boat tours off Manza Beach and local students’ exhibitions at Onna Community Center. The largest beef soup on the island is cooked in the morning of both days and then sold to festival goers at special price starting at noon until everything is gone. The events on Saturday include live fish catching for children of elementary school age, and fruit picking contest for children from three to preschool age. 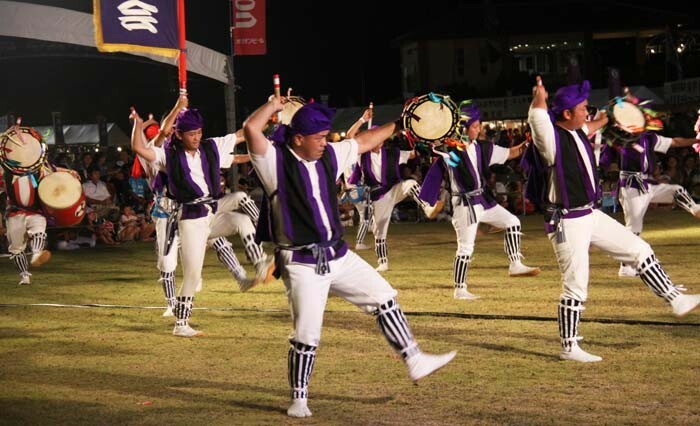 Okinawan folk music and traditional performing arts performances round up the day that ends with fireworks at 21:00. The Unna Festival opens at noon on both days although the official opening ceremony on Saturday is at 15:00. The festival runs until 21:10 on both days. Admission to the two-day event is free. There’s no parking available at the festival grounds. Parking for visitors is available at Akama Sports Park and Seragaki Fishing Port. Free shuttle buses run all day between the festival grounds and both locations.